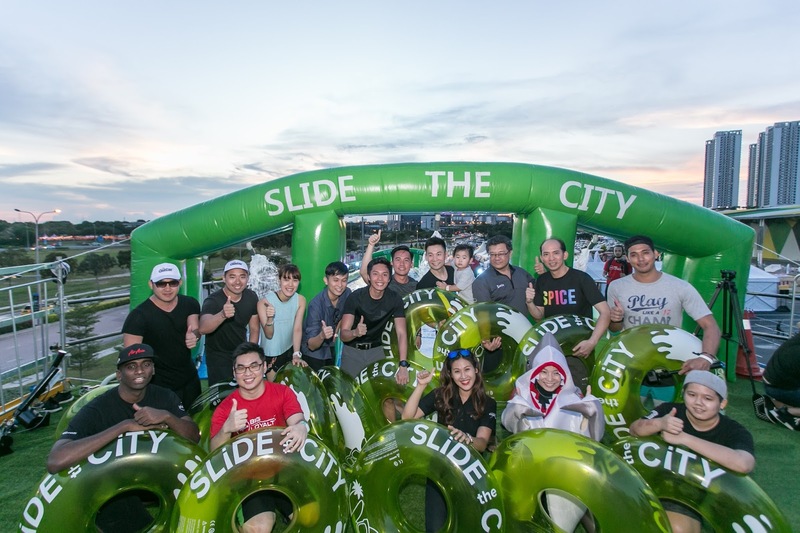 Slide The City Splashes Big With First Ever Night Slide In South East Asia ! Slide the city Malaysia excites fans with night splashing fun under the moon with the famous gigantic slip and slide happening all month long ! 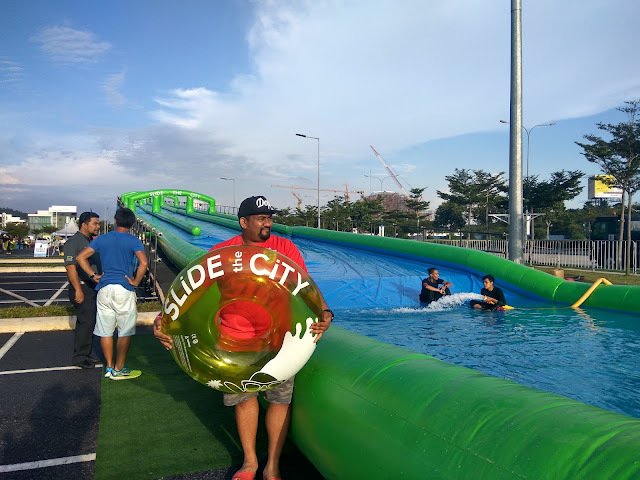 Slide the city Malaysia has officially launched their first ever premium night slide in South East Asia hapenning every weekend on Friday (5pm-12am) , Saturdays and sundays (91m-12am) from September 30th - October 29th , 2017 at car park C , Setia City Convention Centre in Setia Alam . Slide the city in a global phenomenon that brings a gigantic slip n' slide onto city streets and has invaded major cities such as United State , Columbia , Canada , United Kingdom , Korea , Japan , Brunei , Hong Kong , Macau , China , Taiwan and many more since 2013 . However , Slide the city is not new to the Malaysian scene . The premium slide was first brought to Malaysia in December 2015 by Monkey Theory Sdn. Bhd. and has since journeyed across Malaysia and landed in states such as Penang , Melaka , Kuantan and Johor Bharu . However , this time around Slide the city is back in Klang Valley and sliders are in for a twist . 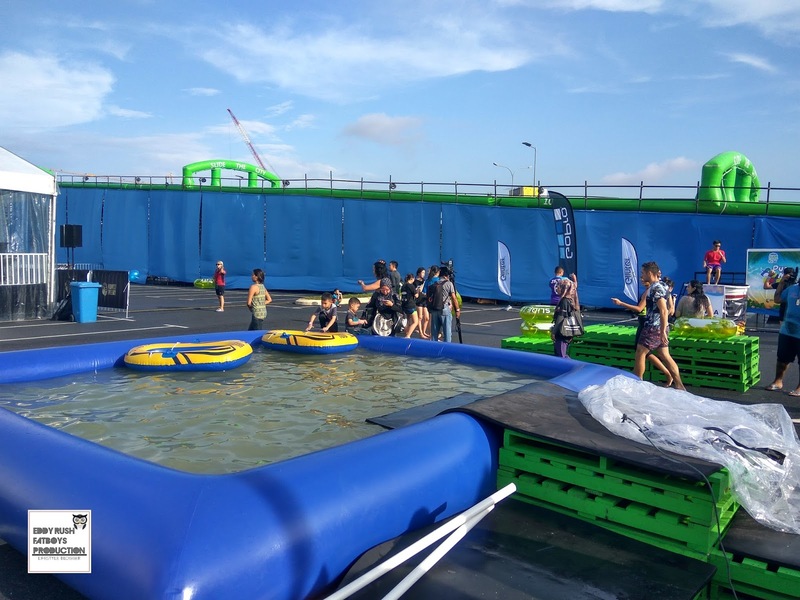 Previously , fans were only able to enjoy the slide during the day . 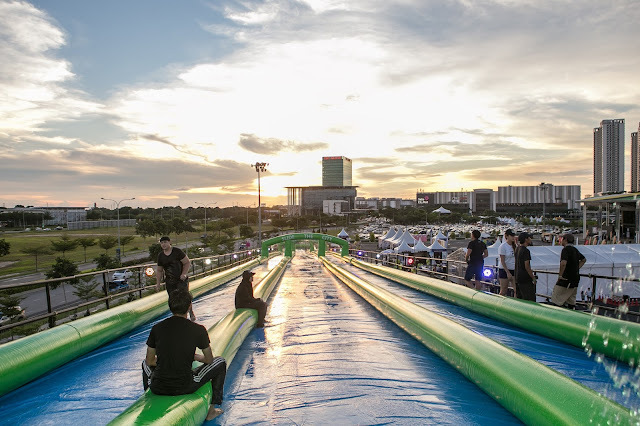 Now , they can slip n' slide under the moon . Night Sliders will just need to change into their summer attire and have a splashing fun time without worrying about getting sunburned . "Every child's face will light up when parents tell them they are going to the neighbourhood playground to slide on the huge slide . 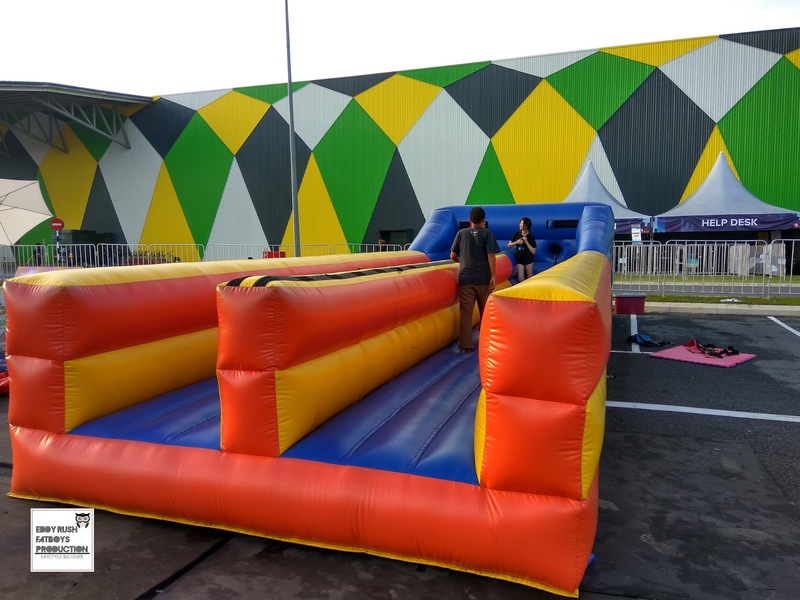 We wanted to relive that happy moment for both the adults and children aged 7 and above . 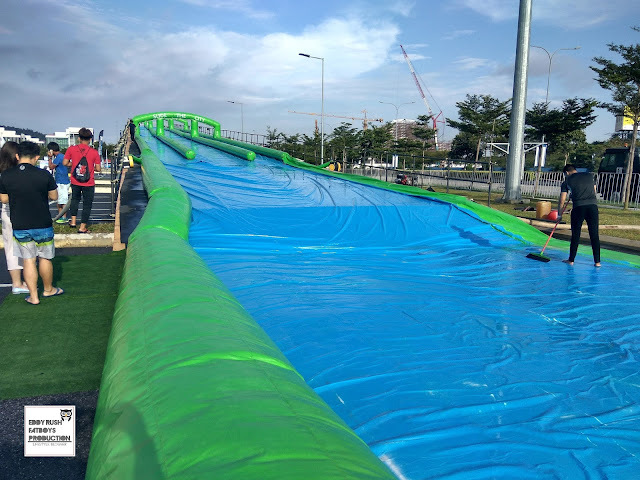 So , we decided to bring this gigantic waterslide to Malaysia but now we're going the extra mile and are extending our opening hours to the wee hours of the night so that our fans can slide down right under the moon and stars . I tell you that feeling is just phenomenal , I urge everyone to come and experience it for themselves . We have even extended the one day event to a month long , So there's no chance of anyone missing out on this event . exclaimed Mr Leong Delon , Founder and Chief Executive Officer of Monkey Theory Sdn. 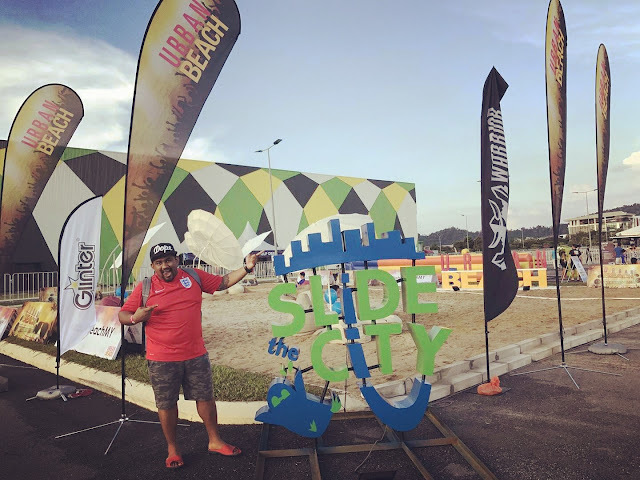 Bhd , the organiser of Slide the city Malaysia . 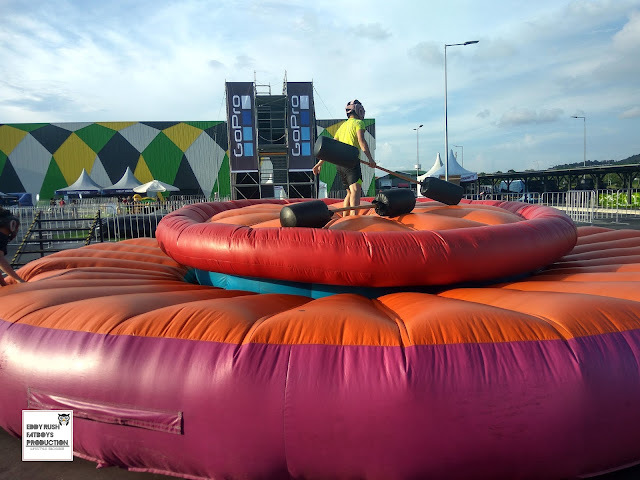 The event is designed to be fun family oriented event within a carnival like atmosphere making the event a must for families to bond and spend time with their loved ones . 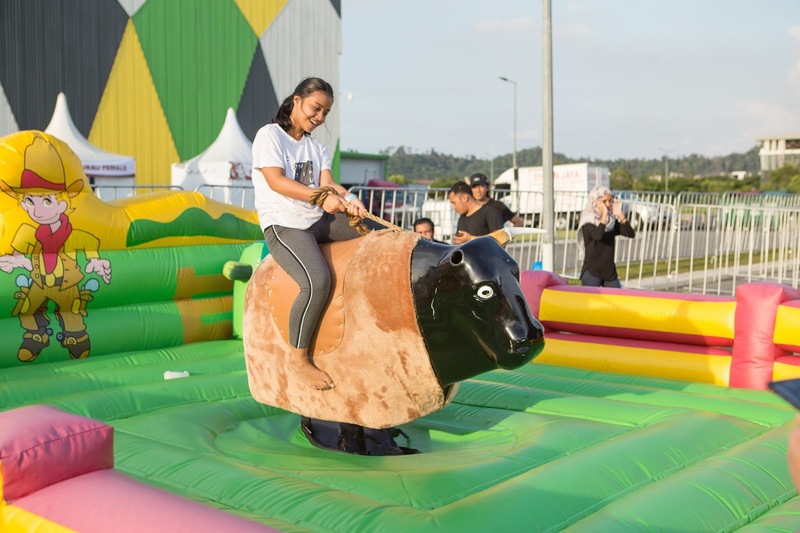 There will be other game activities such as the Bull Ride , The Resistance Stretch , Gladiator Joust and Dunk a Friend . 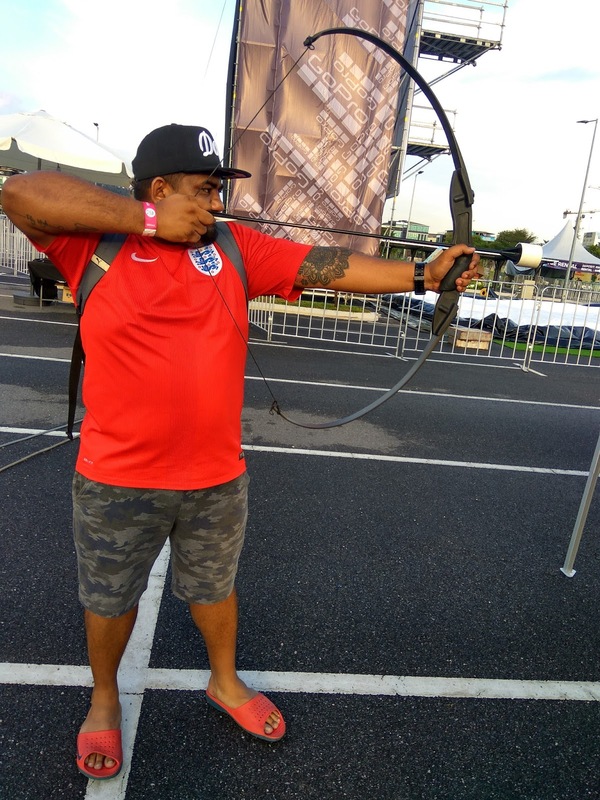 Food enthusiasts will also have a great time there with many choices of food to choose from as there will also be a number of food trucks parked there throughout the event to fill all your gastronomic needs . 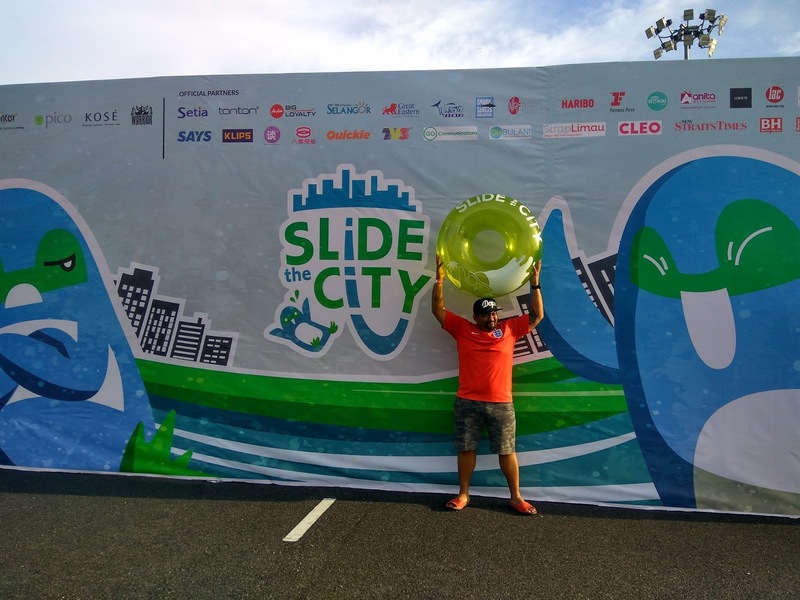 However , it is not all just fun and games with Slide the City Malaysia . 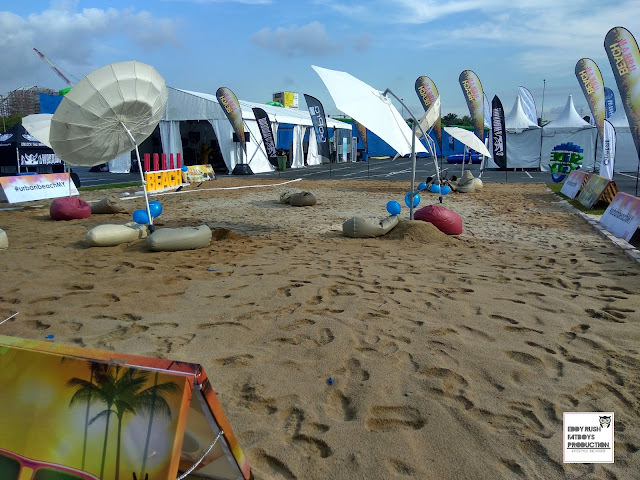 The organisers also believes strongly in leading a healthy lifestyle and thus , have partnered with the National Kidney Foundation of Malaysia (NKF) where a portion of the sales proceeds will be channelled towards the foundation in support of patients suffering from kidney disease . 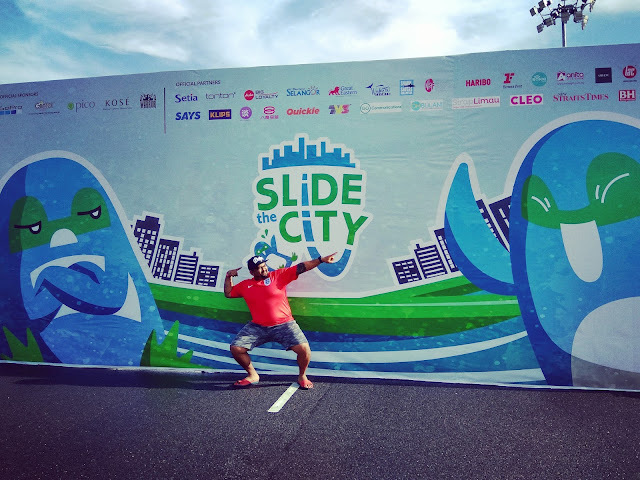 Slide the City are also big on preserving the environment for future generations and have partnered with Wahoo Events on their Shark Savers campaign to say NO to the consumption of Shark fins as the vast killing of these precious organisms not only damages the ecosystem but also pollutes the seas . Also gracing the official opening launch were Slide the City Malaysia's official sponsors such as Glinter , Gopro , Pico Design , Kose (Malaysia) and warrior as well as their Official Partners SP Setia , Haribo , UBER , tonton , Cleo , Wahoo Events , Great Eastern , AirAsia Big , ROKKI , Fitness First , 7 Eleven , National Kidney Foundation Malaysia , LAC Printing and Packaging , Chili Pang Pang , Tantannews , GO Communications , Anita Souvenirs , TV3 , 8TV , New Straits Times Press , Berita Harian , Harian Metro , SAYS , ohBulan , Sirap Limau , Klips and Studio8 (Quickie) . The event is also supported by Tourism Selangor . 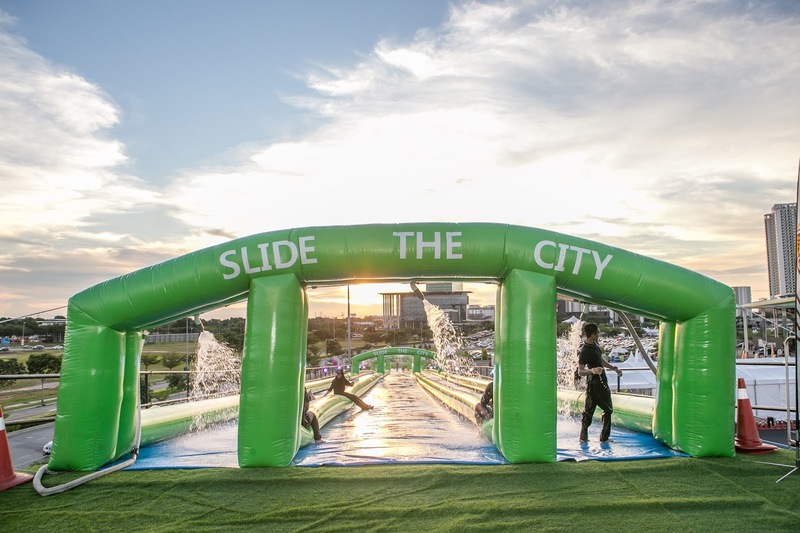 Ticket are now on sale and can be bought online at ww.slidethecity.asia or on site during the event day . Regular and VIP tickets each are priced from as low as RM29 and RM86 . Tickets are also available at selected 7 Eleven stores in Penang Island , Selangor and Klang Valley . For more infomation on Slide the City Malaysia , visit the official Facebook page at http://www.facebook.com/slidethecitymalaysia/ .